Booked is a fully customizable appointment booking plugin for WordPress. Booked helps you build custom calendars for your guests. Create guest booking on your web page without registration, or build a responsive, custom registration login form. Adding an appointment booking system to your website makes it easier for people to book their appointments.This plugin makes it easy t o build your appointment calendar. Create calendars with forms for guests to submit their information to. With guest booking, all that is required is a name and email address for an appointment to be booked. Booking has many helpful features. There is an auto buffer setting that prevents guests from booking their appointments at the same time. The admin can choose who is assigned to what calendar. Assign multiple calendars to booking agents. Users will be “booking agents” and approve pending submissions. The user panel is tabbed and easy to navigate. Add custom fields to your calendar with information for things like time slots, name input, appointment time etc. Choose from a combination of fields to build your forms including paragraph fields, text fields, drop downs and radio buttons. There are many settings you can change to make your calendar stand out. The display options have unlimited colors to choose from and you have some layout options. Use the color pickers to make your calendar look exactly how you want it to. Display your calendar as a full sized calendar or as a widget. 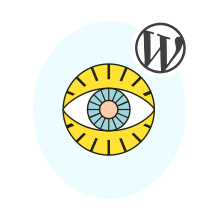 With short codes, you can add Booked to any area of your WordPress website. You can create a default appointment in minutes with Booked. You can also use an add-on to integrate payments with WooCommerce. With this add-on you can create a simple or variable product that your visitors can choose when they book their appointment.